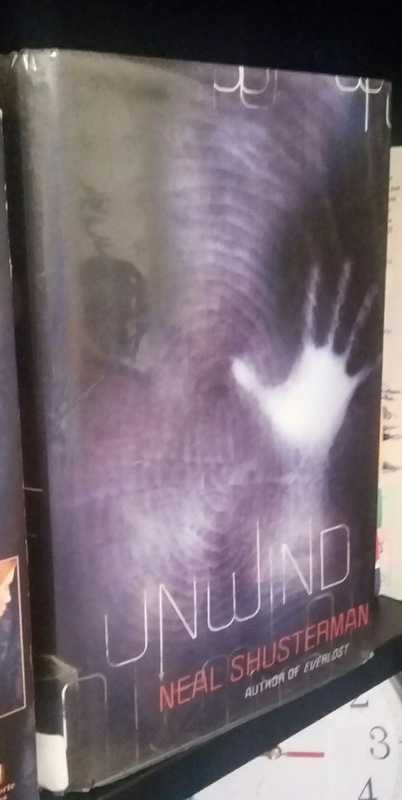 I decided to reread Unwind because I just recently found out that Neal Shusterman had continued the stories by turning it into a dystology. I remember absolutely loving the series but the only thing I could remember distinctly about it was miniscule detail about the ending. I absolutely loved my reread. The characters, Connor, Risa, Roland, Lev, and all the side characters were absolutely amazing. For a book with so many points of view, all the characters have phenomenal character growth. Connor learns how to handle himself and becomes more than his label and Risa overcomes her own fears. The plot itself was just as amazing as I remember as well. It’s such a unique thought but so relevant to today. There are so many themes that could be applied to today. I would name some but I don’t want to spoil anything. The only complaint I have, and the reason I can’t give this novel 5 folded pages, is that the story did get a little slow here and there. Nothing too bad, but I think for a novel like this it shouldn’t be fast paced and intense the entire time and it just wasn’t. Overall, I’m super happy I reread this novel and I hope that the rest of the series is just as good. 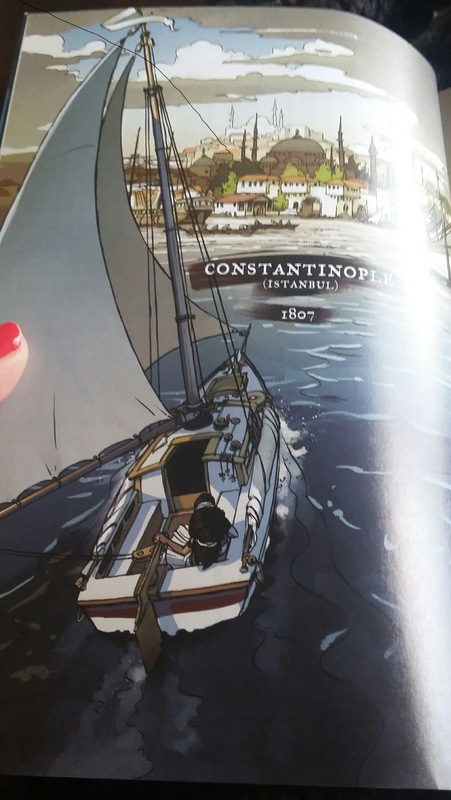 A little bit Tintin, a little bit Indiana Jones, Tony Cliff’s Delilah Dirk and the Turkish Lieutenant is a great pick for any reader looking for a smart and foolhardy heroine…and globetrotting adventures. I picked up this graphic novel solely because I LOVED the artwork on the cover and let me tell you the rest of the art in the book did not disappoint. There were so many scenes that were absolutely striking. Cliff’s attention to detail and color in this graphic novel is stunning. I felt I could pretty much ignore everything else because his artwork was pretty but I didn’t really have to. I took a picture of one of my favorite scenes to show you because I didn’t think the book cover did Tony Cliff’s art style enough justice. The story, although nothing extremely complex or fancy, was cute and heart-warming. Selim learns about himself and what he wants through his friendship with Delilah. It was a quick read (I think it took me maybe an hour) and it was super adorable. I loved watching their odd friendship blossom on page and in the artwork. I can’t wait to pick up the other novels in this series. I want to see more of Delilah and Selim and their friendship. Cliff builds their characters so perfectly with only the use of dialogue and pictures and yet I still feel like I got to know both of them quite well. 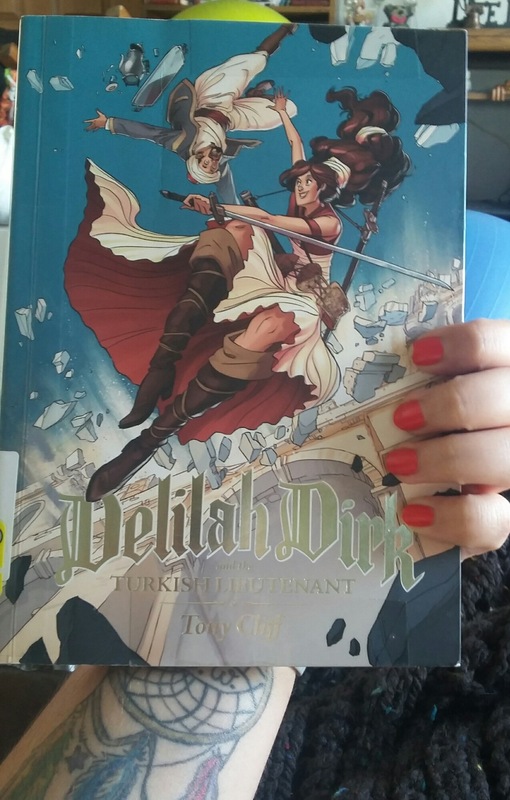 I’m definitely going to be on the look out for more works from Tony Cliff and I’m super excited to continue this reading about Delilah Dirk. I absolutely adored this book. So much so that I couldn’t put it down. I finished it in less than 24 hours of starting it. 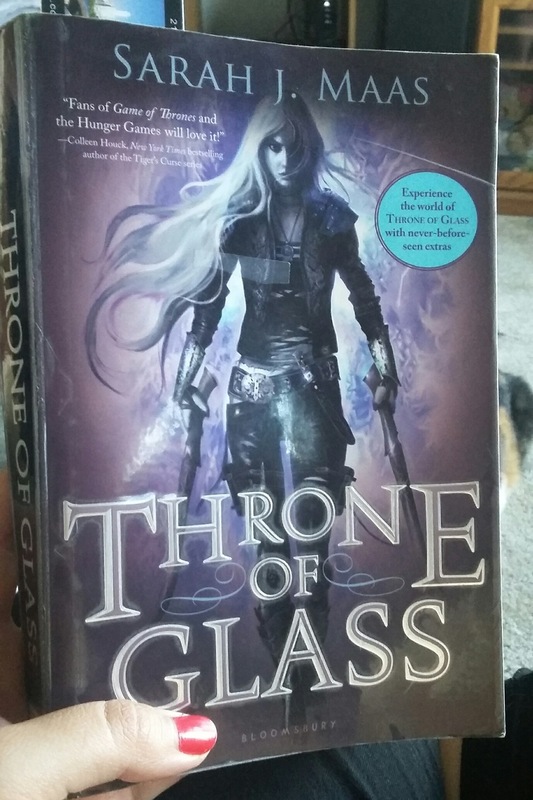 Maas as said that Throne of Glass is loosely based on Cinderella but I had gone into this expecting a fairytale retelling more or less. To clear things up, it is VERY loosely based on Cinderella and I am A-Okay with this. Celaena is a wonderfully 3D character. She has badass moments but she also is quick to anger and can’t keep her cool. She’s not perfect and I absolutely love that about her. Too often heroines have no flaws aside from being too pretty or too badass and I’m glad to have a character that is badass but also still a young female who has normal emotions and thoughts. As a side note, Maas even makes sure to mention Celaena getting her period and how it affects her which is an absolute first for me in any novel I’ve read and absolutely amazing. I enjoyed the side characters as well. Chaol (which will forever be pronounced Cha-ol for me and not Kay-all as the pronunciation guide suggests) had an understandable standpoint even if he did seem a bit unfair. Dorian although the epitome of the “I’m nice despite my parentage” troupe still has other aspects that make his character believable like his arrogance. The one thing that makes me give this 4.5 instead of 5 stars is that sometimes I had a hard time believing Celaena was really an assassin. I understand that she had been locked away basically dying for a year and that she is still a young girl. But some parts I found myself absolutely flabbergasted she couldn’t recognize or react as someone who has been a trained assassin for 10 years. I absolutely adored this book while reading and I’m super excited to get to the next one. I’m glad the hype around this book didn’t disappoint me! Back to regular scheduled posts! 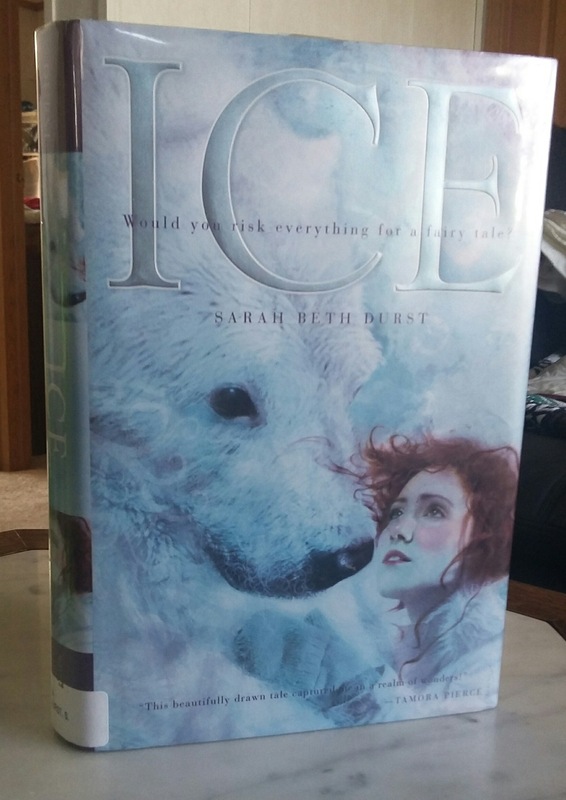 Ice is a retelling of the Norwegian fairytale “East of the Sun West of the Moon.” It is a similar story to Beauty and the Beast and I do love a good fairytale retelling. This book just felt “eh” overall. I didn’t hate it but I didn’t love it either. Cassie is a headstrong girl who doesn’t give up but also doesn’t feel real. I’m not quite sure she has a personality other than an immature 18 year old (who definitely reads like she is 12) who has a lot of perseverance. Cassie is also the only character I really had a chance to get to know. I felt like Bear and her family were just after thoughts. That being said, the last 50 or so pages flew by and I really enjoyed that. The world building in the novel is pretty great. I was never left with questions about how the world within the novel worked. I definitely enjoyed that aspect. I can also appreciate that this book is relatively short. Most fairytale retellings can end up being monstrous because the author tries to incorporate too many details from the original. Durst gives us just enough to remember the old while still giving us something fresh. In the end, I give this 3 folded pages. I liked some aspects of it but it could have definitely been better in my opinion. I think Durst may have focused a little too much on the plot and not enough on the characters. There is nothing better than buying a brand new book. 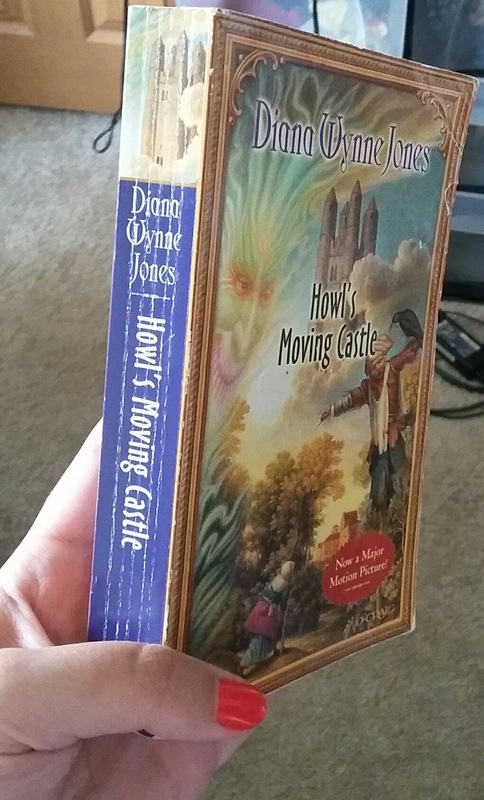 The pages are perfect, the spine is absolutely pristine, and we can’t forget that new book smell. When it’s in this condition, it’s like the book is waiting in anticipation to be picked up and read. I can’t deny loving to buy new books. I love everything about a new book. 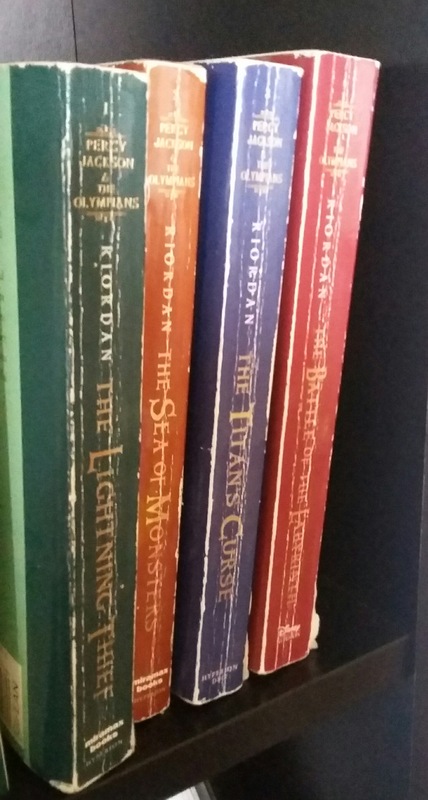 However, I don’t exactly want my books to stay that way. Most people try to keep their books in this pristine condition and more power to them if that’s what they want. But I enjoy a truly battered book. All of my favorite books have the spines broken bringing up those familiar white lines. They have folded pages and corners of spots that I want to keep coming back to. They already have that old book smell you get with library books over 15 years old but my book is only about 7. Books that have been broken in feel like old friends when I pick them up. They are familiar in my hands and they bring me back to the joy (or sorrow, or wonderment) I felt when first picking up the book. A new book is full of anticipation. Will it be good? Will I like the characters? Will I enjoy this author’s writing style? But a beaten in, old book holds a story you know you love. You can find details you don’t remember, or maybe you’re like me and you tend to skip ahead when the suspense is too much so you’ve missed entire pages. If my book is pristine on my shelf that means I didn’t love it enough to reread it. It means I don’t keep coming back to that book and I think nothing is sadder than a forgotten book still pristine on my shelf. Sometimes I just haven’t had time yet, or the book is new because my old one fell apart so much that I was no longer able to read it (IE my brand new Harry Potter collection). And sometimes I got the book from the library and just recently picked it up for my own collection. Either way, the books I own will all eventually have broken spines and folded pages and I couldn’t be happier about it. For future reference, I absolutely hate the second person as a point of view while reading stories. It just feels extremely awkward and immediately puts me off. Which is why I wasn’t necessarily loving the beginning of Half Bad. The first part, which is immediately like 20 pages tops, was in second person. It just immediately put a bad taste in my mouth about this novel. Luckily, by about 40 pages in I had gotten over my initial dislike of the book. After those first 40 pages, I couldn’t put the book down. Half Bad is definitely unique. The chapters vary in length and it deals with abuse, bullying, and overcoming it. The main character is also illiterate. He can’t read very well, but he’s still smart and I think we need more books like that. I was able to understand those first 20 pages after learning about Nathan and I’m glad I didn’t decide to put the book aside when I was thinking about it. Everything is seen through his eyes so it can be hard to get a feel for other characters but I think it actually added to the story in this case. Because Nathan didn’t get a lot of the characters either. 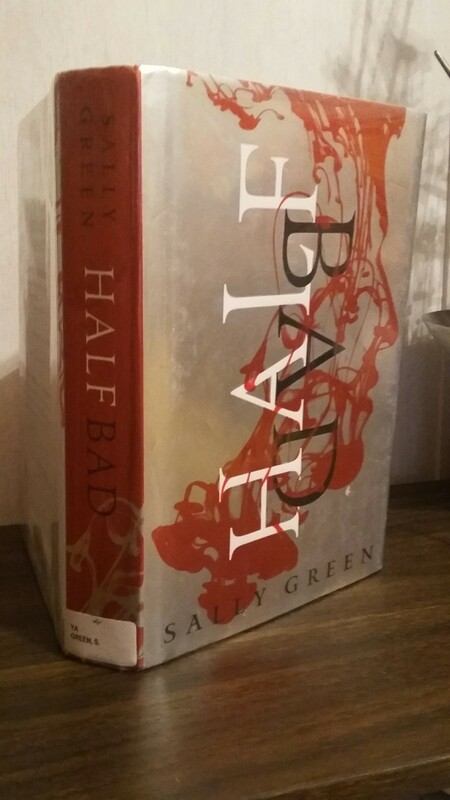 Half Bad is nothing like I thought it would be but definitely what I needed. I’m not sure how else to describe it. I think it’s a book everyone should at least try to read. Needless to say, this book really surprised me and in a good way. I can’t wait to get my hands on the second novel, Half Wild, to see where Sally Green takes us next. But now that she’s living with her sister, she’s got her own room, she’s going to a good school, and her future looks bright. Plus there’s the adorable boy next door. There is something about a Sarah Dessen novel that is indescribably relatable. It doesn’t matter if you’ve had similar experiences to the main character or side characters. 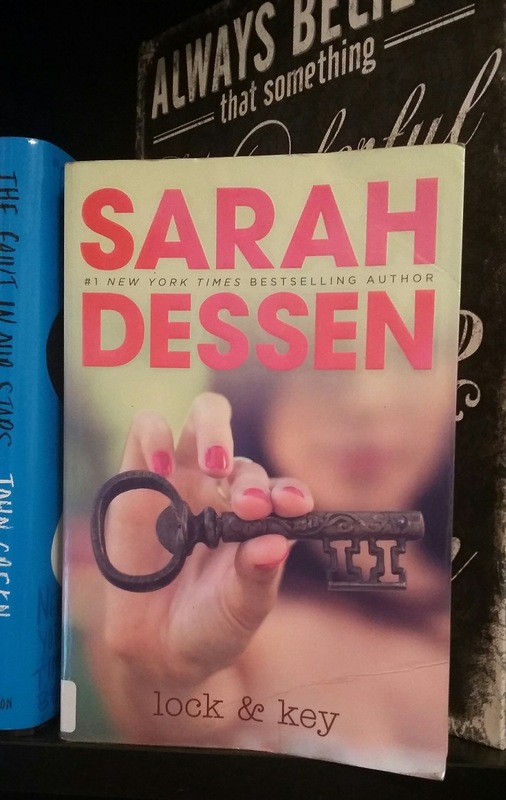 Whenever I open a Sarah Dessen novel, I know I’m in for a story that I will in some way relate to and it is no different when rereading Lock and Key. At first I was worried, I haven’t read a Dessen novel in years and I decided randomly to start rereading her books because I remember absolutely loving them. I’m happy that I wasn’t disappointed. Lock and Key was almost just as good as I remembered. Ruby feels completely real. She’s flawed and makes mistakes and is so very human. I love that most about Dessen’s writing. All her characters are unmistakably human. Even the side characters like Nate, Cora, Jamie, and Olivia all had very real personalities that were believable. Every character came alive on the page. None of them felt flat. A problem I’ve been having with recent novels I’ve been reading. I also love that as a contemporary novel the romance is believable but also not the central focus. More and more the romance is the sole point. The boy saves the girl from herself or her past or who she’s pretending to be but Nate isn’t the biggest factor in Ruby’s story and I absolutely love it. The only real issue I had is that some of the sentences were very awkward. I found myself rereading certain lines or paragraphs because they were oddly worded. Here and there sentences felt like a word was missing so I understood what was being said but it was obvious something was amiss. Aside from this small factor, I absolutely enjoyed reading this novel again. So much so that I read it in one sitting. Not an easy feat for a 422 page novel. Still I flew through it like it was my first time reading it and I’m so glad I picked it up again.